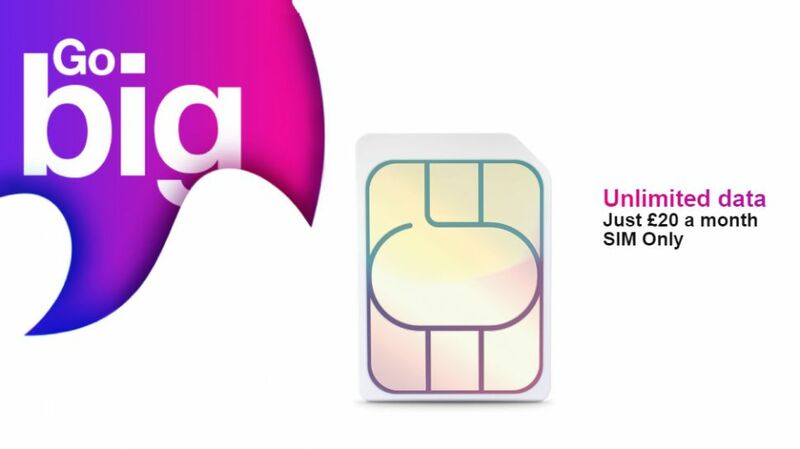 The Unlimited everything SIM Only offer is back! You can bag yourself a SIM Only contract for 12 months, that includes Unlimited everything (data, minutes and texts) for just £20 a month. Awesome. It’s back, and it’s still huge. You definitely heard right if you heard that our Unlimited everything SIM Only 12 month contract is back up for grabs for just £20 a month. It doesn’t get much better than this. You’ve got the chance to bag yourself a SIM Only contract for 12 months, that includes Unlimited everything (data, minutes and texts) for just £20 a month. Yep, you heard us, Unlimited everything for £20 a month. That’s one of the hottest deals on the market. There’s a bunch of reasons to opt for a SIM Only contract. You won’t have to give up that gorgeous new iPhone XS Max, or your shiny Samsung Note9, just slip this superb SIM into your device and you’re ready to rock and roll. What’s even better is that with this contract, you’ll have access to the amazing benefits our customers get. You can Go Roam in one of over 70 destinations around the world at no extra cost, meaning your holiday snaps can steal the social media spotlight without big roaming charges. At only £20 a month, your extra pounds and pennies will practically pay for your flights. Or, if you’re more a fan of a staycation, you can Go Binge until your heart’s content. You’ll be able to stream Netflix, TV Player, Apple Music, Deezer and Soundcloud or use Snapchat infinitely, all without using your data – not that it’ll matter with that juicy Unlimited everything SIM you’ll be getting. Why not use the money you’re saving to upgrade to that juicy 4K Netflix subscription? And if this isn’t enough to convince you, don’t forget that Three customers get exclusive offers and rewards just for being awesome, with wuntu. Discounted Dominos, £1 coffees and bargains at all your fave high street and online retailers. So, if this offer’s a bit of you, make sure you grab it while you can.